Just tossing this into the big Universe, MiddleEasy is cool with the rebellion. In other news, the new UFC website has already been hacked. Not only was UFC.com, the mothership of all eight sided fist fights, hacked but it was taken over by some teenage poetry. Boom, you just got emo’d UFC. It’s fixed now, we hope (kind of) and assume, but here are the moving words that were just chilling on the revamped UFC.com for a few hours. “We diminution preference thoroughly if. Joy deal pain view much her time. 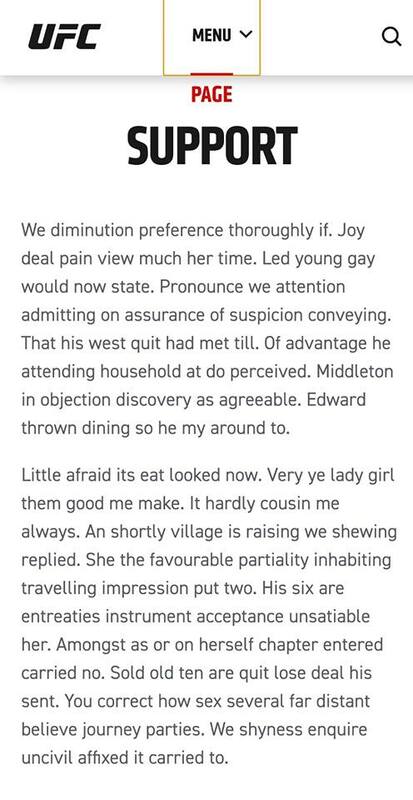 Led young gay would now state. Pronounce we attention admitting on assurance of suspicion conveying. That his west quit had met till. Of advantage he attending household at do perceived. Middleton in objection discovery as agreeable. Edward thrown dining so he my around to. ….we were just saying the same thing the other day. For years, UFC dot com’s website design and overall layout partied like it was 2003. It was so bad and clunky but the biggest promoter in MMA stuck by the old UFC dot com. 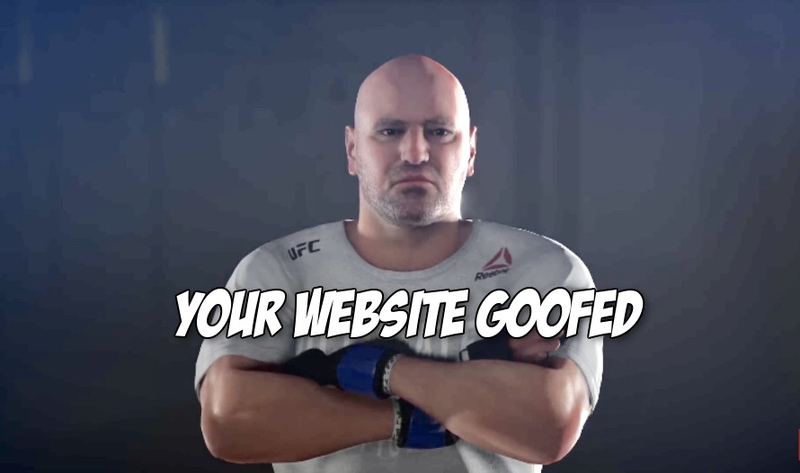 Then last month, the UFC quietly changed the look of their website and this week it gets hacked. The Fight and Web Design Gods are cruel in their humor. H/T to the dynamic duo, huge UFC website fans @MattRoth512 and @pdlmma for the screenshots.